Now that the summer season has come to an end, we acknowledge some of the fine achievements of St Patrick’s students over the last six months. The 2016/17 cricket season had all three Opens grade teams qualify for the Grand Finals. The First XI recorded a win in the Final of the ISA Division 1 competition.The Second XI and Third XI both took their grand finals to the final overs, unfortunately not coming away with victory. Junior cricket, St Patrick’s made it through to the Grand Final in 3 of the 5 competitions contested this season.Congratulations to the 14 Gold cricket team who were crowned champions of their NDJCA competition. Congratulations to the 13A and 15A cricket sides who fell just short of victory in their Grand Final. 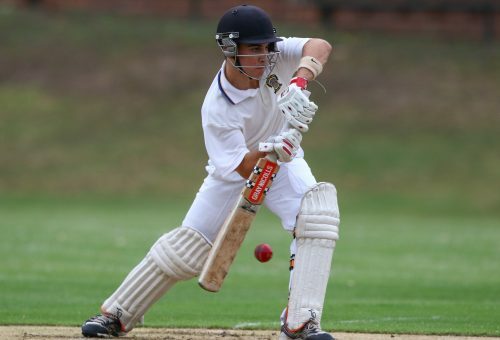 St Patrick’s College also saw three of its First XI cricket players named in the ISA Representative teams this season; Michael Redman (captain), Matthew Bryson and Harry Manenti. Harry was also selected in the NSW Country Schools team (as captain) along with Michael Robinson. The basketball season saw SPC field 23 teams in the ISA competition, 4 of which made their way through to the premiership playoff game. Unfortunately, all four teams finished as runners up. Captain of the First V, Jarrod McCrystal, capped off his basketball career at St Patrick’s with selection in the ISA Second V – a wonderful achievement. The baseball season concluded with the 16 Blue team the last SPC team left standing at the Grand Final stage of their RHBL competition. After only losing to one team in the regular season, they came up against this same team in the Grand Final. SPC rallied and took out the game 9-8.